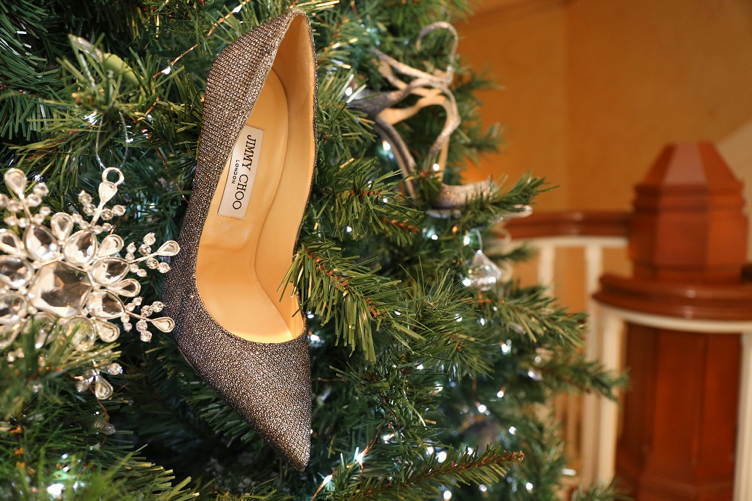 Jimmy Choo shoes are going places this Christmas as we have already seen them adorn the Christmas tree at Printemps department store in Paris. 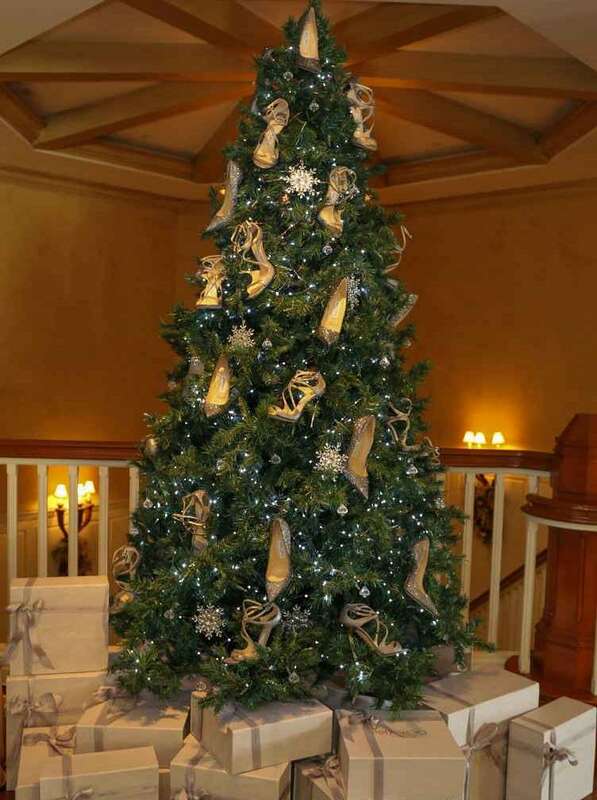 And to make fans believe in the magic of Jimmy Choo shoes growing on trees, Montage Laguna Beach has put up a Christmas tree ornamented with glamorous Jimmy Choo footwear. The oceanfront, luxe spa resort in California has teamed up with the British high fashion house to dress up their 10-foot tree that stands in its full glory atop the resort’s main staircase. Diamond snowflake, teardrop ornaments as well as a crystal garland complete the high-fashion designer tree along with the Jimmy Choo-wrapped presents at its foot.